Chelsea manager Antonio Conte will need Eden Hazard to ride to his rescue in Saturday's FA Cup final against Manchester United. 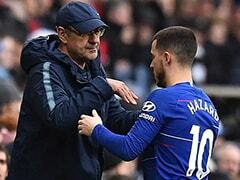 Desperate to end a dismal season on a high note, troubled Chelsea manager Antonio Conte needs Eden Hazard to ride to his rescue in Saturday's FA Cup final against Manchester United. Conte's side have been rocked by their failure to qualify for next season's Champions League after they stumbled to a disappointing fifth place finish in the Premier League. With Conte reportedly on the verge of leaving following his feud with the club's hierarchy over transfers, there is a sense Chelsea are lurching through one of their regular periods of self-inflicted turmoil. While victory at Wembley this weekend wouldn't erase the problems gripping Chelsea, it does offer a chance to dispel the notion that disharmony between Antonio Conte and his players has accelerated their decline. Just 12 months ago, Chelsea swaggered into the FA Cup final as the newly crowned Premier League champions following Conte's dazzling debut season. Yet they left Wembley empty-handed after a lacklustre 1-2 defeat against Arsenal that left a painful sting. "You don't want to be on the back of losing two FA Cup finals in a row," Chelsea midfielder Cesc Fabregas said. "Last year we didn't play well. We have this regret in our head and we want to make it right this time for sure." Things haven't been the same since and, despite his insistence that he would happily remain in charge next season, Conte has carried the air of a man who knows he is on borrowed time. Against that troubled backdrop, it would be a fitting coda to Conte's woes if United manager Jose Mourinho was the man to shove his rival towards the exit door. Showing signs of cracking under the strain of Chelsea's turbulent season, Conte has been drawn into a series of petty and increasingly bitter exchanges with former Chelsea boss Mourinho. To avoid the unpleasant prospect of watching Mourinho celebrating at his expense, Conte needs to find a way to unify his team following last weekend's shambolic 3-0 loss at Newcastle. 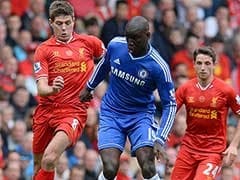 That result ended their top four hopes and was emblematic of Chelsea's diffident approach for much of the season. 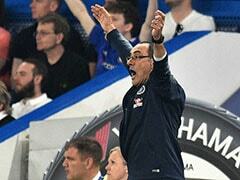 Now their hopes of winning the Cup for the first time since 2012 lie largely with Belgium playmaker Hazard. 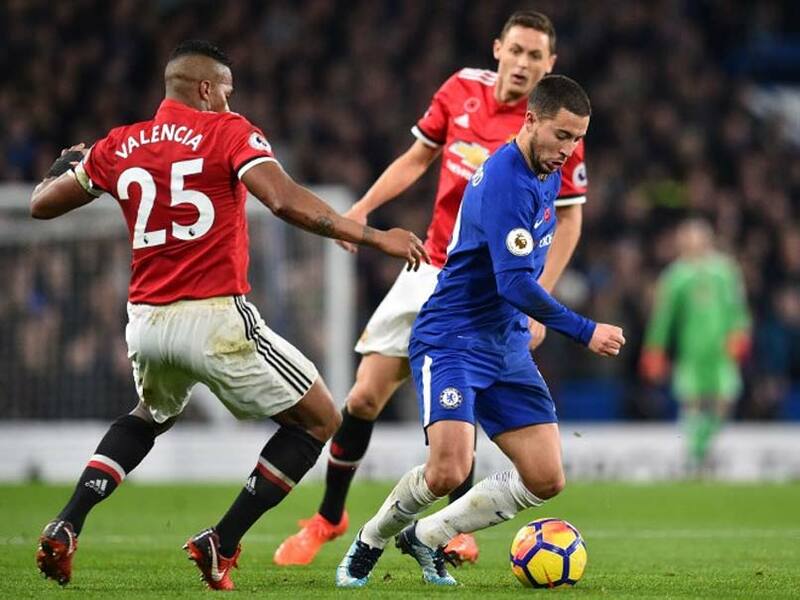 With Hazard unable to reach the heights he scaled during last season's Premier League title-winning run, the Blues have spluttered badly up front, triggering numerous complaints about their lack of cutting edge from boss Antonio Conte. The 27-year-old isn't the only one to blame as Alvaro Morata, Willian and Pedro have also been inconsistent, but Hazard is Chelsea's creative lynchpin. 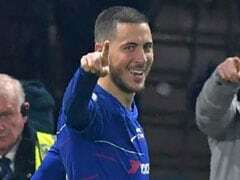 Worryingly for Chelsea, Hazard showed signs of unrest this week when he admitted he would wait to see who the club sign in the summer before deciding whether to sign a new contract. Fabregas has no doubt that a motivated Hazard can see off United, saying: "He's a fantastic player. When he's on his day he can be unstoppable. "We have to make sure we give him the right service so he can work his magic and give us a good performance, because we will need that." United, bidding to join Arsenal with a record-equalling 13th FA Cup final victory, have fared better than Chelsea after securing a second place finish in the Premier League. 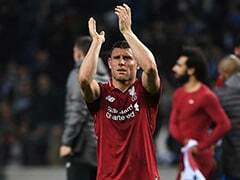 But Mourinho's side trailed 19 points behind champions Manchester City and their manager's cautious tactics in several big games, combined with a tame Champions League exit against Sevilla, led to pointed questions about their lack of progress. United defender Phil Jones insists winning the third major trophy of Mourinho's reign would make this season a step in the right direction. "I really don't think we're far away. We'll always have our critics because we're Man United, but it shows that we're moving in the right direction under him," Jones said. "I think finishing second and winning the FA Cup probably would be satisfactory, but we always want to win more. "This club is so used to winning things. It is part of the history of this club. We cannot stand still. We can't just let the FA Cup final pass."